In the German translation of the Rapunzel tale, the mother of Rapunzel craves lettuce and makes a salad of it once obtained. The Italian and French translations of the story say that the desired plant is parsley. 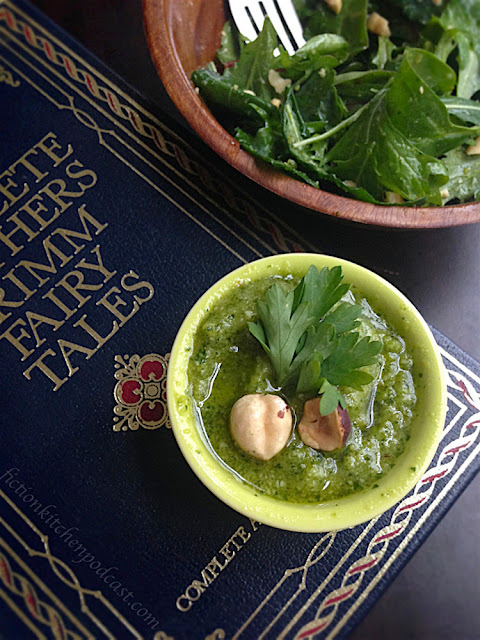 This recipe honors various translations with a simple salad of small leafy greens tossed with a parsley pesto, and also nods to Disney's "Tangled" with the hazelnut inclusion, which happens to be a common ingredient in early German cooking. 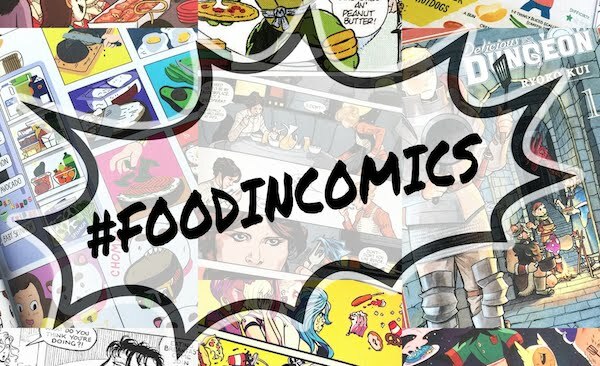 Because rampion, which has a parsnip-like root, is also sometimes connected with this story (the German name for rampion is Rapunzel, btw), I've included an optional addition to the salad of roasted parsnips. If making the roasted parsnips to go on top of the salad, heat your oven to 375ºF & line a baking sheet with parchment paper. 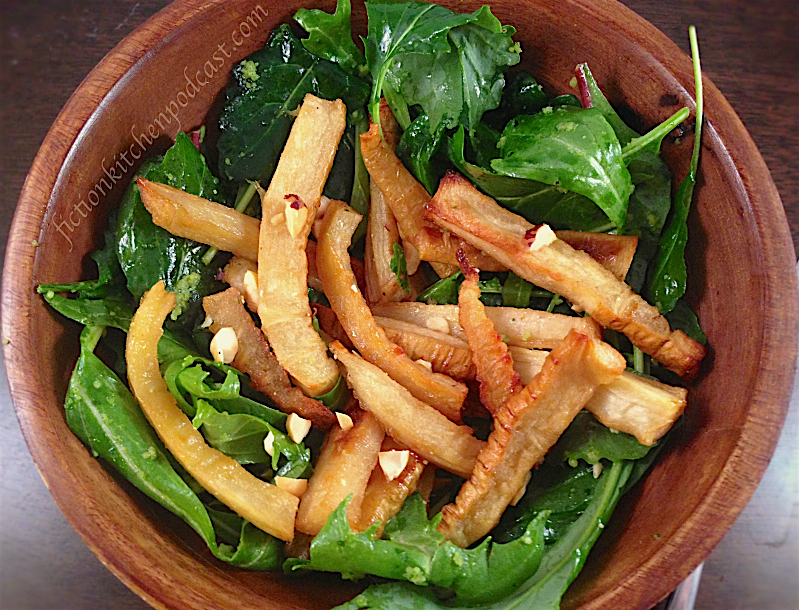 Cut the parsnips into french fry-like strips (~ 1/4"x3") & toss them with the oil & maple syrup. Spread them on the tray in a single layer & bake for about 30-40 minutes or until a fork can easily pierce them. For the pesto, Place all of the ingredients in a food processor or standing blender & pulse until smooth & vibrant green. Add a little more oil or lemon juice (to taste) if the mixture is too thick/clumpy and pulse again. 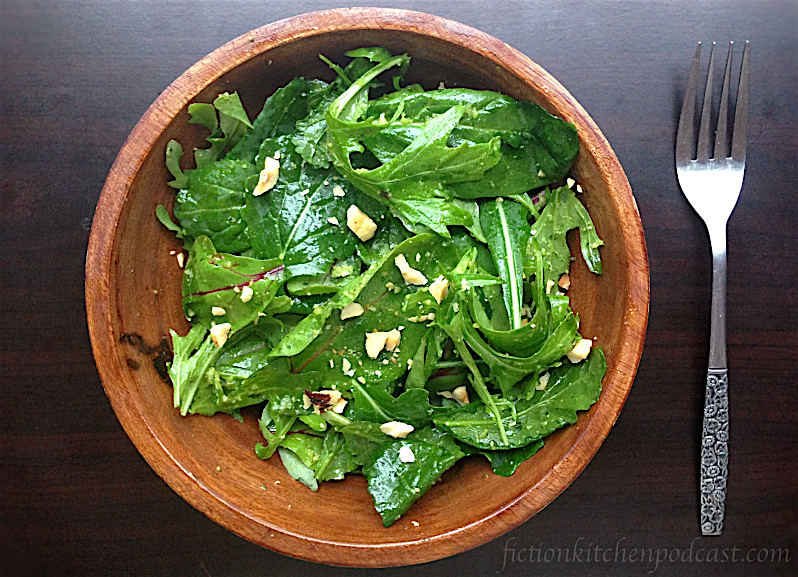 Place a handful of salad mix into a serving bowl & toss with about 1/2 a tablespoonful of pesto to evenly coat. Place several roasted parsnip pieces on top if desired, & then sprinkle the salad with chopped hazelnuts.